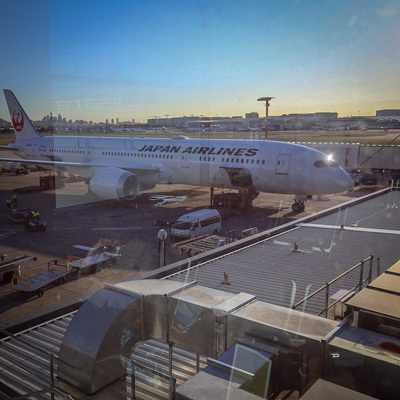 Flying JAL internationally for the first time was a great experience. 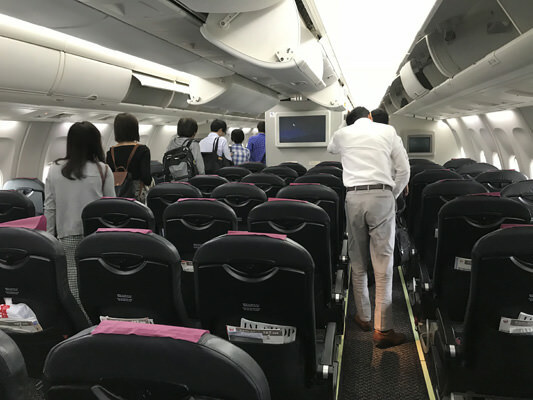 JAL has been the most comfortable with the best in-flight comfort. 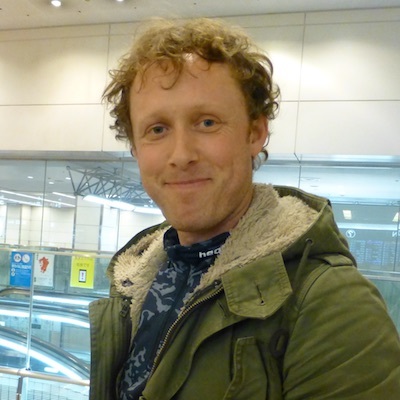 Check-in staff at the airport are very helpful and friendly. 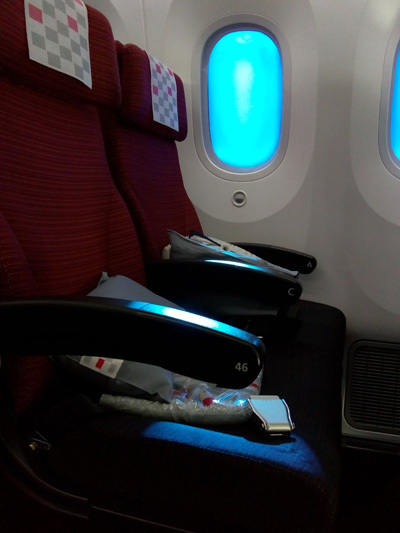 Seats in economy are large and comfortable. Food is of a good quality with some special themes to the menu. Service is fantastic. In-flight entertainment is great with a selection of very recent movies. 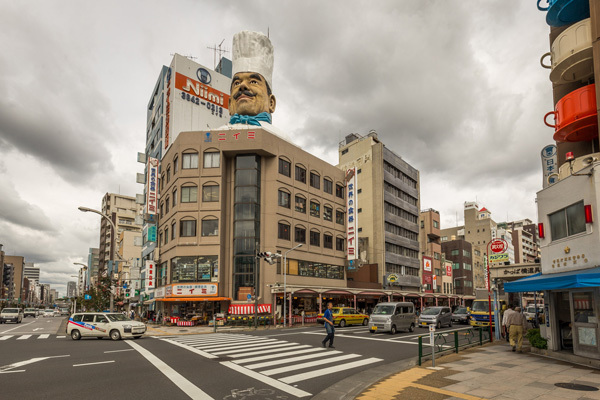 Unknown to me before this trip, Kappabashi street has many specialty shops. 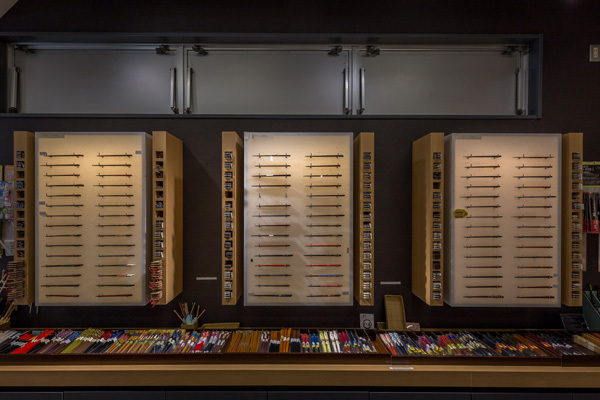 While the shops are almost all targeted at cafe, restaurant and bar owners, they offer unique souvenirs for the foreign traveler, including Japanese made knives for the kitchen, chopsticks, glassware and storefront fake display food! 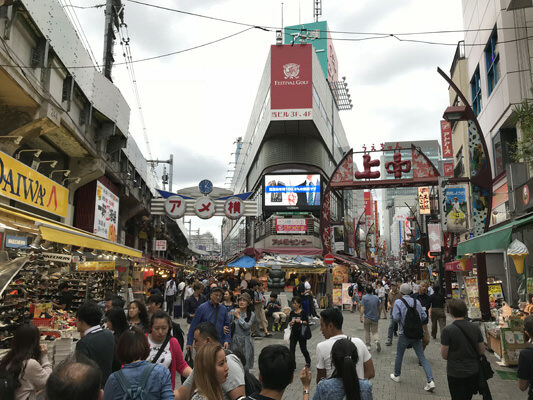 Kappabashi Street is a heaven for people looking for traditional Japanese tableware among other unique goods like the sample foods you see outside of restaurants and even all the neat signs and lanterns that hang out front of establishments. There's an abundance of shops and many also have English support to help out any non-Japanese speakers. Learn, make, eat, and enjoy sushi! 6. 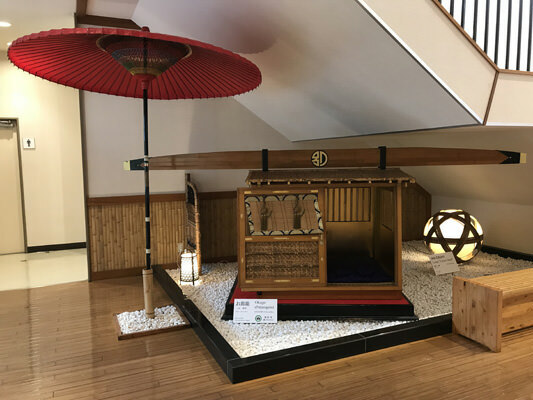 Receive certification with a sushi experience certificate"
Hassan is a shabu-shabu and sushi shop with an innovative style where you can select all-you-can-eat or an a la carte course depending on your mood and the purpose of your visit. 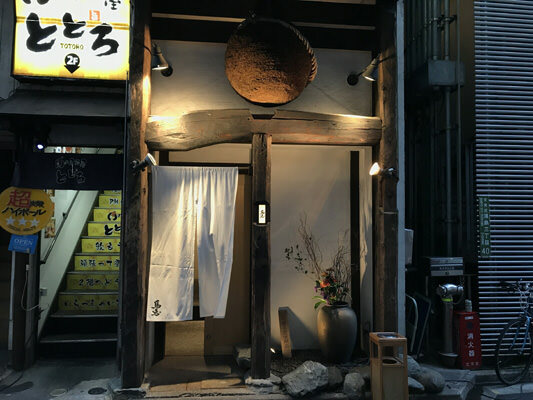 It is an almost unheard of refined authentic Japanese space that is loved by a wide range of customers." 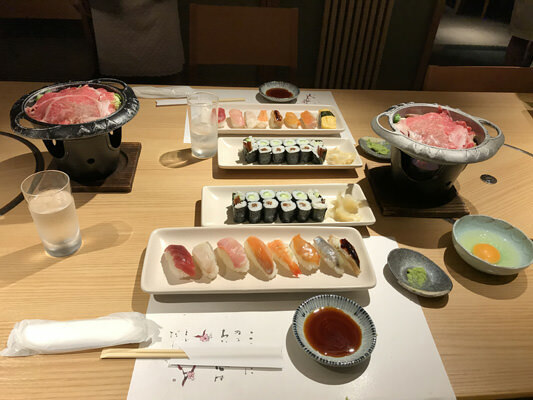 Hassan is a stunning sushi and shabu-shabu in Roppongi. 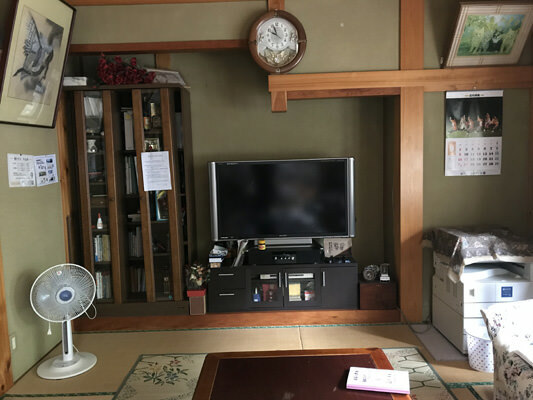 The interior is a stylish Japanese minimal feel with plenty of wood and earthy tones. 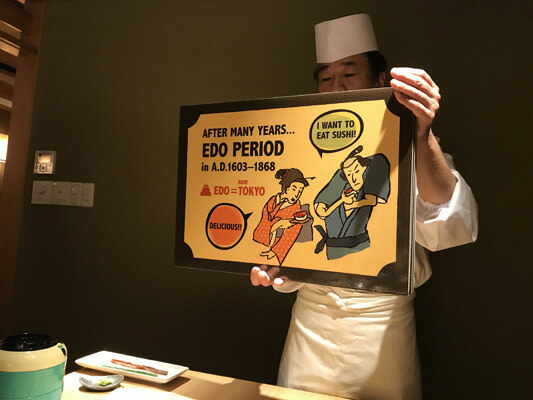 The chef talks about historical events and how they shaped the style of sushi in the Kanto region. Then the sushi making experience begins, the chef skillfully demonstrating different techniques of creation. It's fun to follow along in a learn-by-doing style. We then eat the sushi we've just created, and enjoy some beef shabu-shabu. 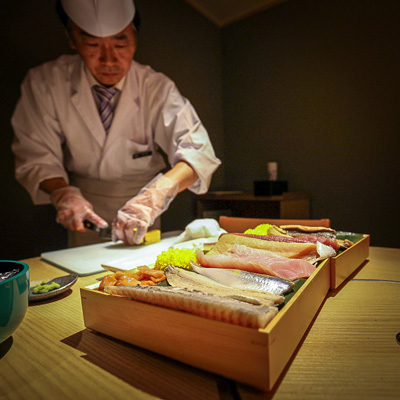 Hassan in Roppongi is a sushi restaurant that turns into a sushi making school. After listening to a brief lecture about the history of sushi by one of their expert chefs, the real challenge begins; making sushi. 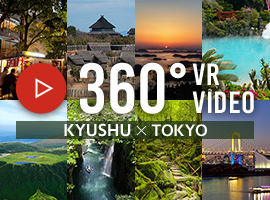 You’re shown how to go about making sushi, and with specific movements demonstrated effortlessly by the chef, you’re on your way. 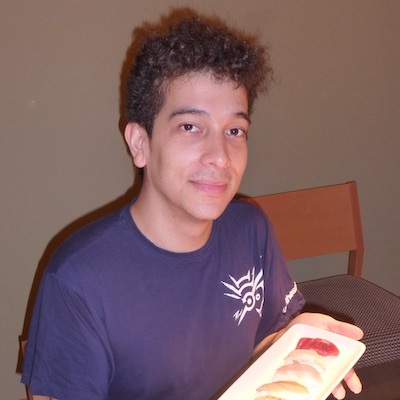 The experience ends when you make some long, smaller rolls as well as hand-formed sushi. 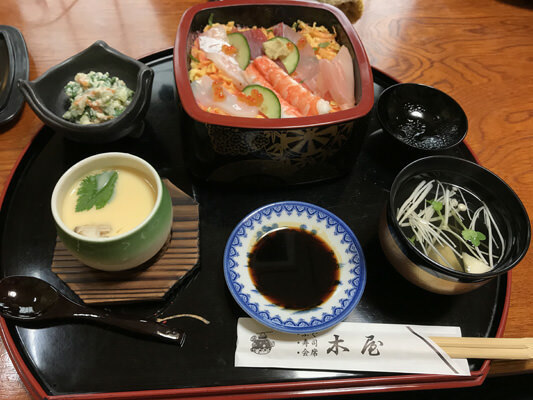 Sushi you made is served to you with sukiyaki and miso soup. 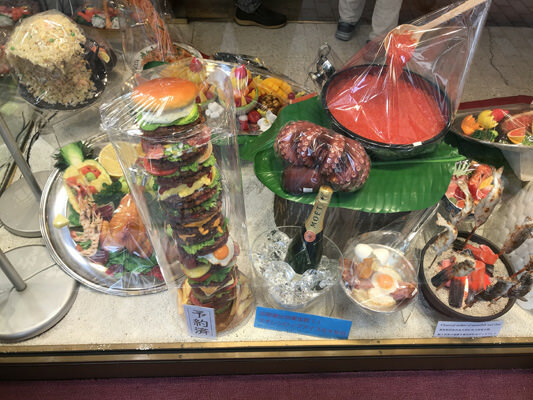 The cherry on top is getting presented with a certificate of your “Sushi Graduation,” complete with your name and the signature of the chef. It’s a really great souvenir to end the experience. 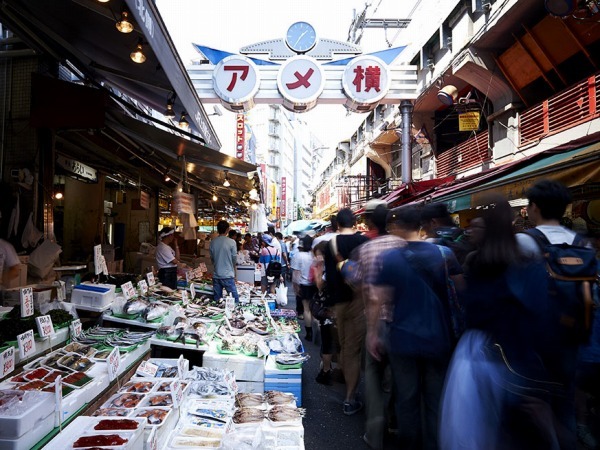 Bustling, thriving, colourful, wafts of freshly grilled food, nasal-toned shouts from store holders, Ameya Yokocho offers a huge range of food, clothes and souvenirs. 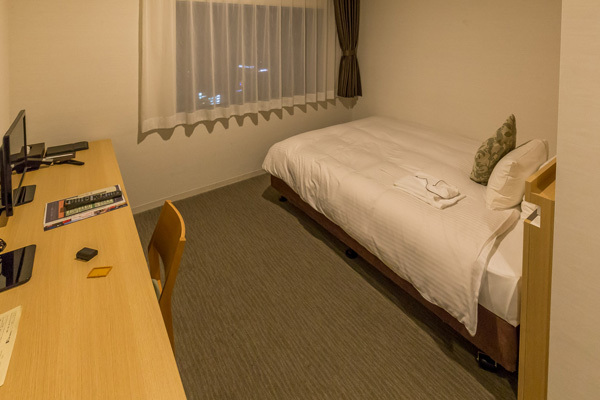 Located across the road from Ueno Station, access is very easy. 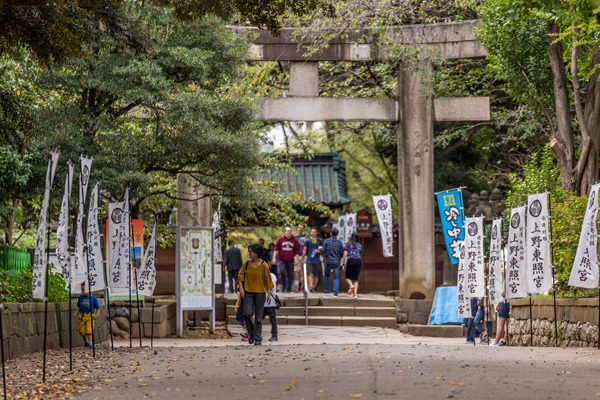 Ueno Park is a pleasant surprise in the middle of Tokyo. 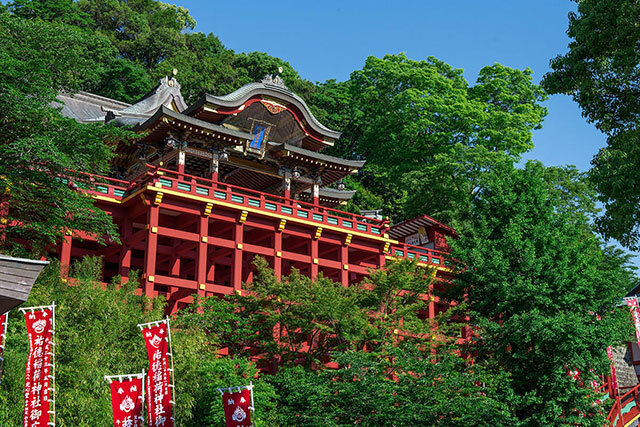 Bordered by multiple museums, dotted with shrines and a zoo, there is a lot happening in this park. People sharing a meal, families playing, magicians busking, traditional instruments being played. 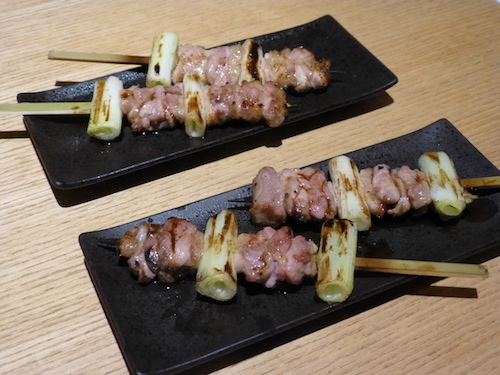 A small restaurant with a cozy setting, Torie is all about yakitori (chicken skewers). Multiple courses of different chicken meat, from different locations, with different sauces and spices made an all chicken dinner a treat. 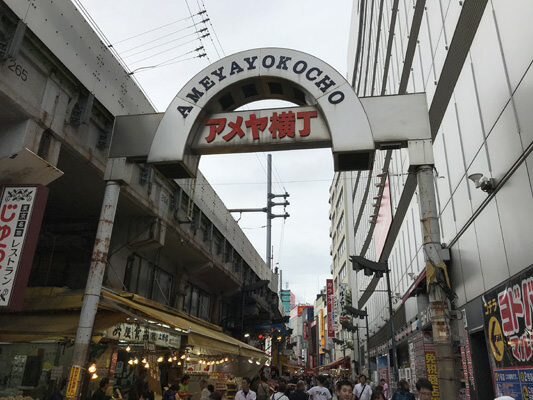 Yokochos are small shopping areas located in cities throughout Japan, and Tokyo’s Ameya Yokocho is easily one of the best. 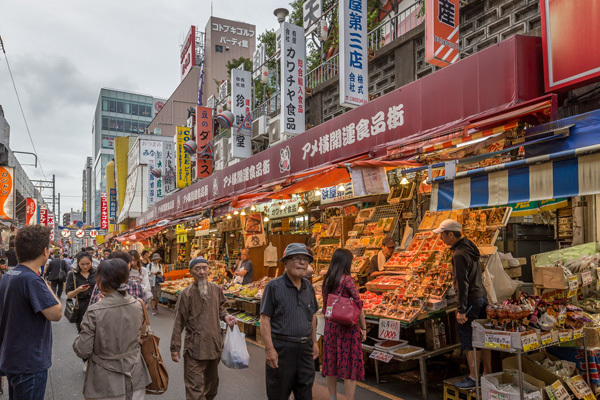 It is in open air with various merchants hawking their goods. 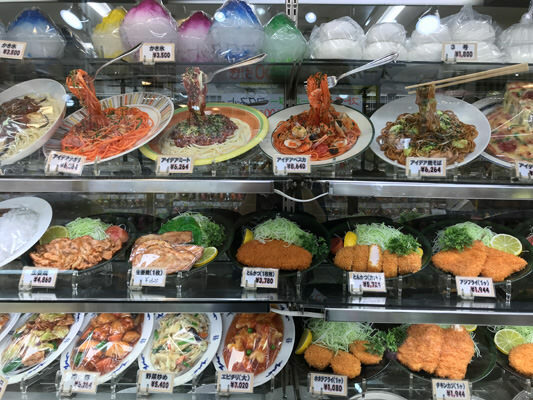 The prices are decent and the offerings varied so you can easily spend the better part of a day here, shopping and taste testing what’s on offer. 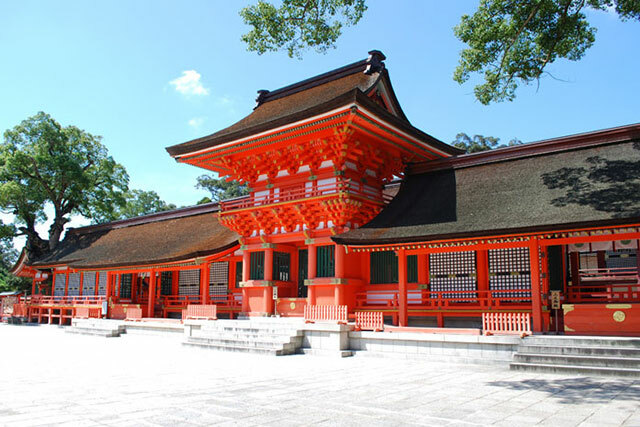 Ueno Park stands as one of central Tokyo's largest parks with a great history based around the area it's in. 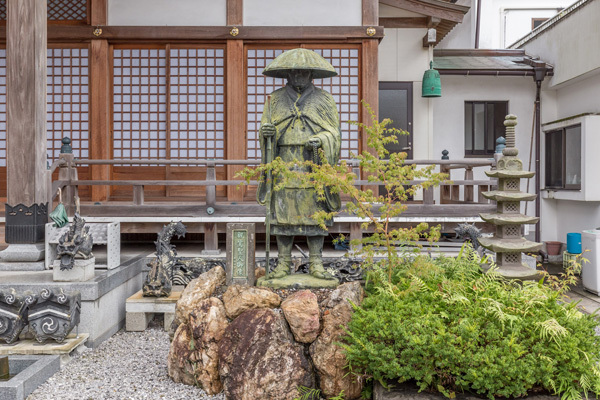 Countless performers and museums are to be found within the park that each add their own touch to the culture of the area. 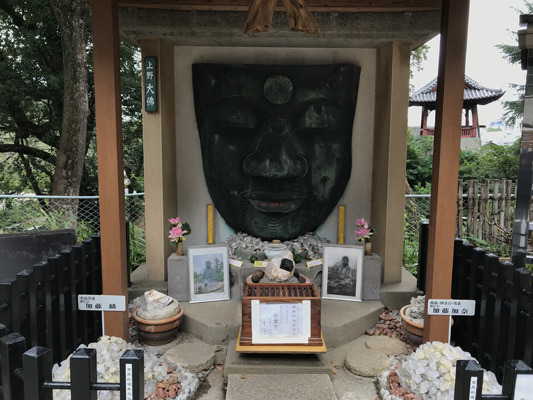 Surrounding the space are various landmarks including the face of a Buddha which fell off its statue during the Kanto earthquake. 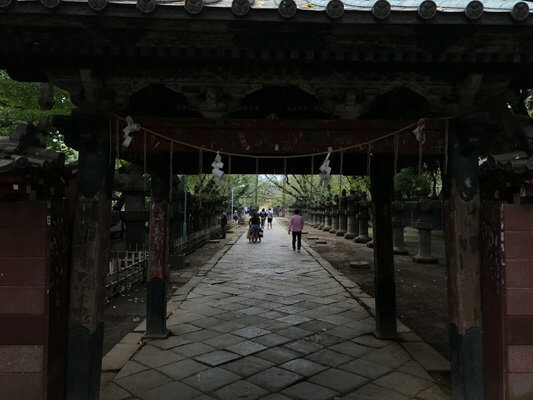 It's sights like this that make Ueno park fascinating to explore. 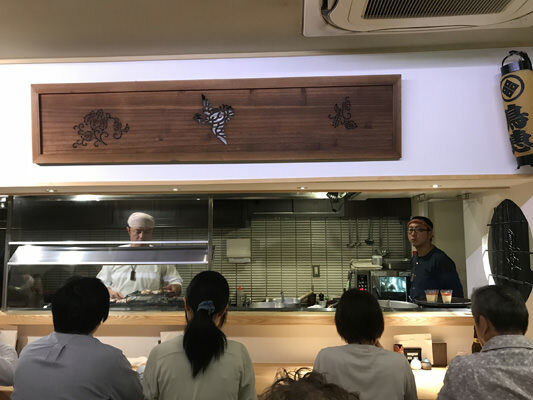 Torie in Ueno is a cute, small yakitori restaurant that will probably change the way you think about the food. With various interpretations and guidance on where the food has been sourced and prepared, you'll feel special as each dish is brought out to you. 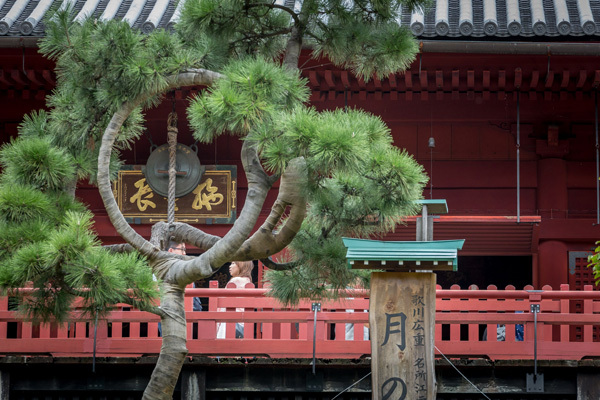 Life Tree Ueno is perched up high so all rooms have a great panoramic view of Tokyo. 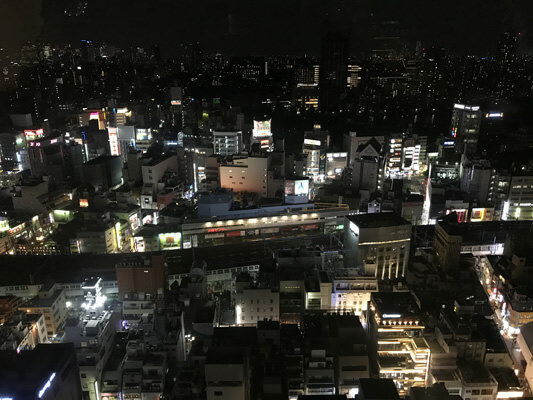 Having stayed here on two separate occasions, I got to enjoy both views - one looking toward Tokyo Skytree and the other toward Ueno Park. 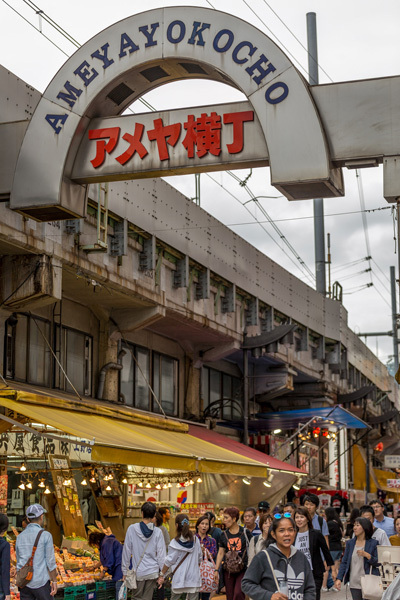 In a spot central to Ueno Station, this is a good base for exploring Tokyo. The buffet breakfast was quality with lots of options. 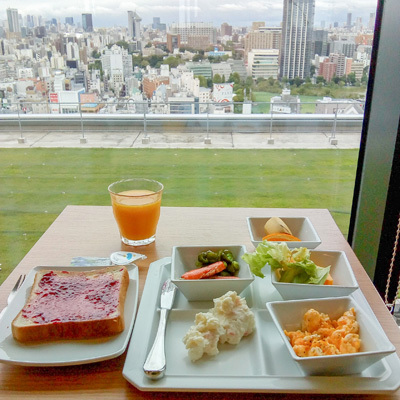 The dining room has an excellent view of Ueno Park. 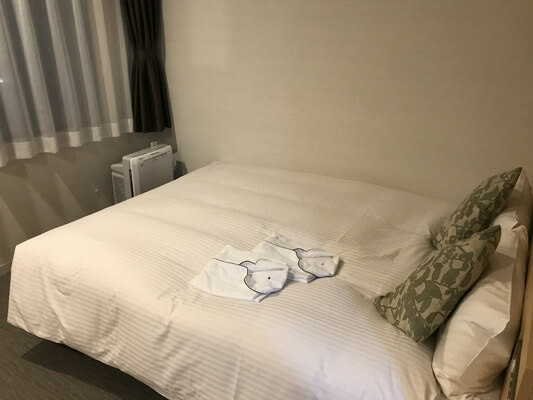 Situated in a great location just outside of the hustle and bustle of Ueno, the Life Tree Hotel Ueno has spacious rooms, with various facilities. The toilet and shower rooms being separated are nice and help you feel relaxed as you take a bath. 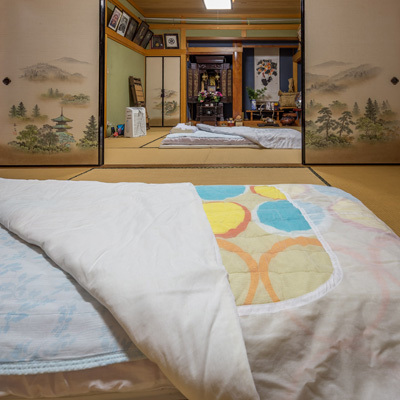 The views are also amazing as you can view all of Ueno and it's surroundings from the large windows. 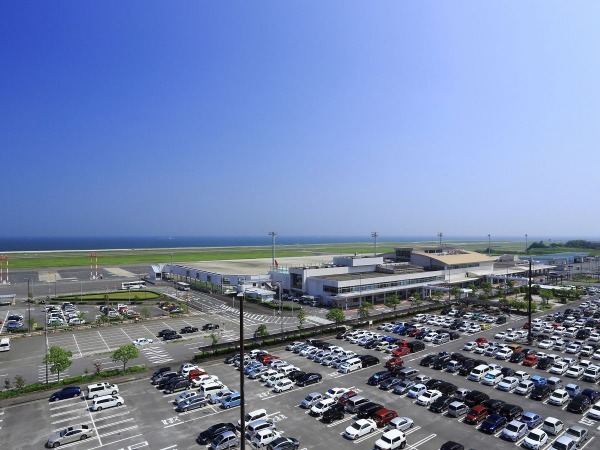 It was relaxing to get on the plane and enjoy the short trip to Oita Airport. Seats are comfortable and the flight departed and arrived on time. 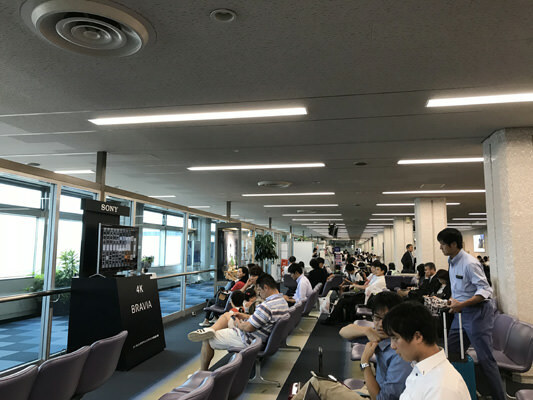 JAL check in and dealing with their staff is always easy as most speak basic English to help you get your bags on the flight without any hassle. 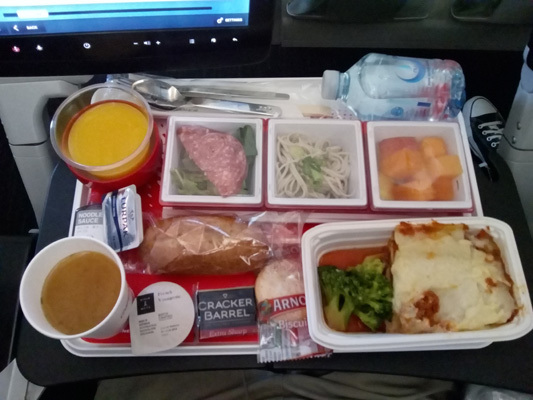 During the flight courtesy drinks were offered halfway. Arrived at Oita Airport to an extremely warm welcome. 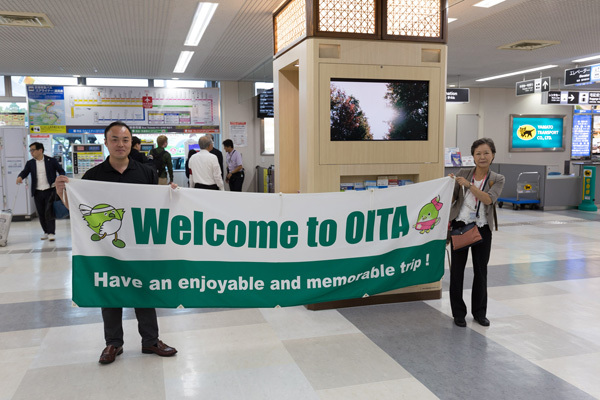 Our guide, along with local tourism staff and director of the airport, had unfurled a huge "Welcome to Oita" banner. 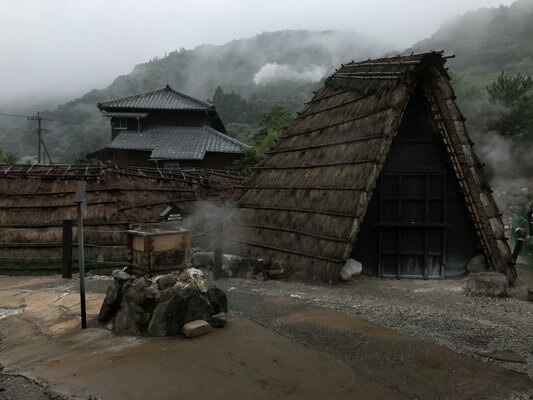 We were then taken to the hot spring foot bath (which is in the airport, having fresh hot spring water delivered daily) for a quick soak, showing that this is the onsen capital of Japan! 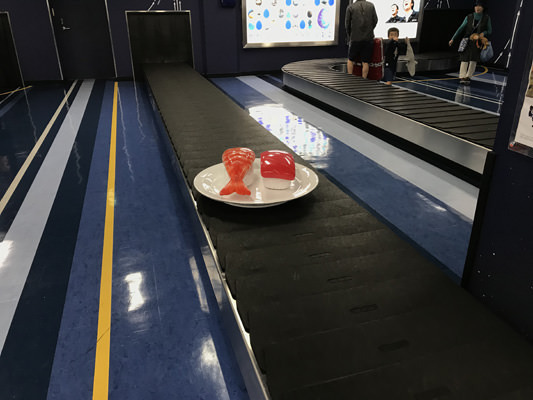 Being greeted at Oita Airport by oversize nigiri sushi rotating along the baggage claim is a novelty I don't think will ever wear off and thus sets the tone for the sense of humour people in Oita have. 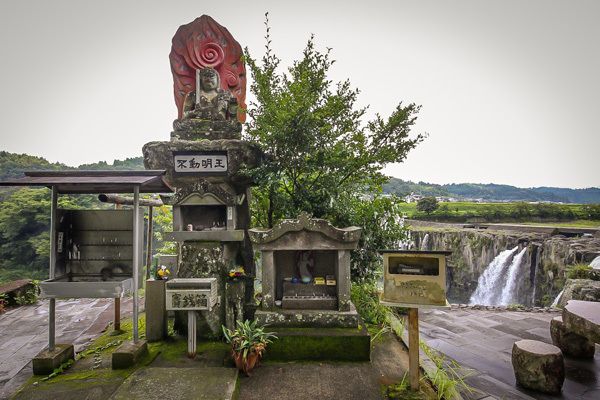 Just outside the arrivals gate there's also a foot spa where the spring water is brought every morning from Beppu. A really welcome, and wholesome experience. 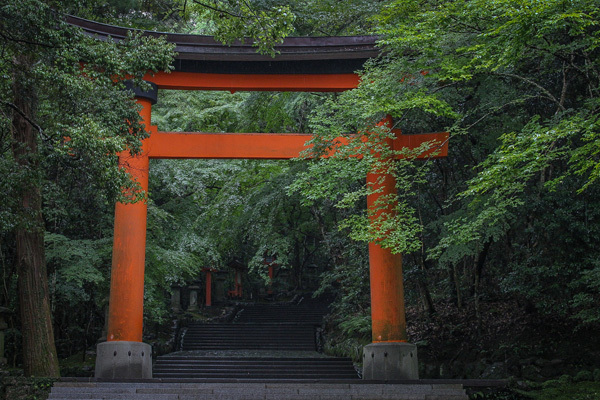 We headed to Usa Jingu Shrine, where the sprawling shrine grounds with vermilion torii gates and shrine buildings were shown to us by a local monk. 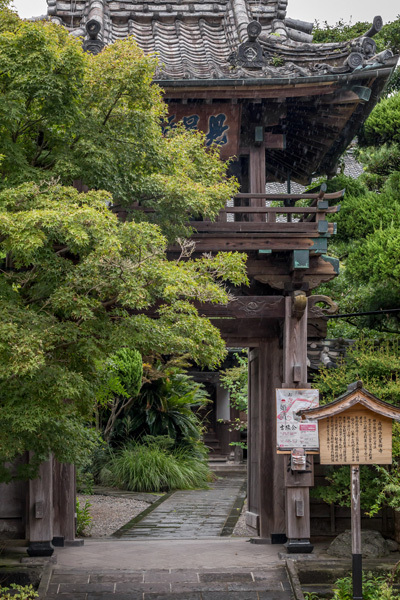 The buildings and gates were grand, the gardens serene in their landscaping in the rain. Soft-shell turtle (from nearby Ajimu) ramen was the delicacy here, which we enjoyed along with local specialties of deep fried chicken and fish. The restaurant is bright with large booths and very friendly staff. 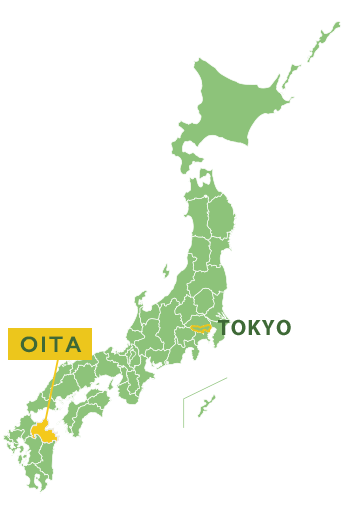 Here in Oita Prefecture is a winery with a lot of experience and a range of wines, including some using Japanese grapes. The tour enlightens the visitor to some of this winery's unique techniques and processes. 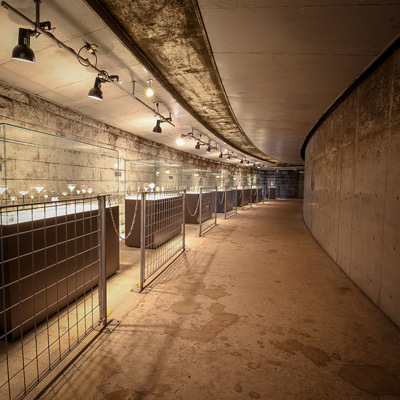 Included in the tour is a walk through the winery's own "wine museum," which has a pleasing design and located in their cellar. 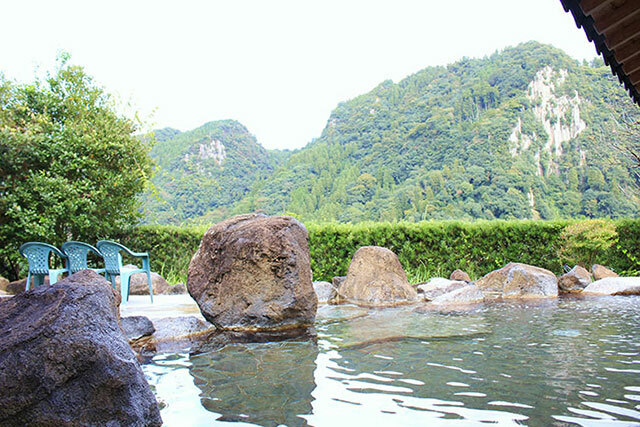 Beppu Myoban Yu-no-Sato Onsen has both outdoor, and private indoor, onsen. 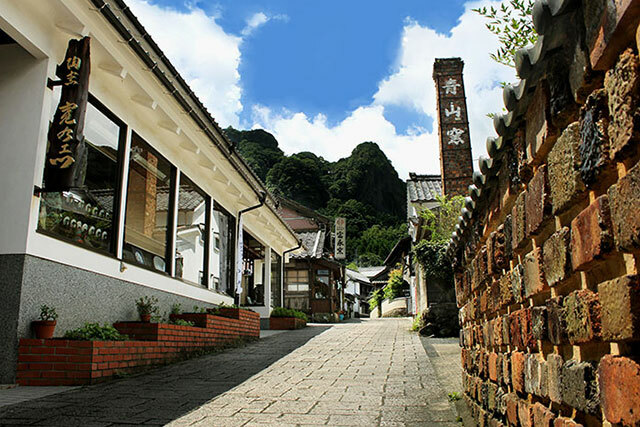 There are two souvenir stores on site, one includes many local sake for tasting. 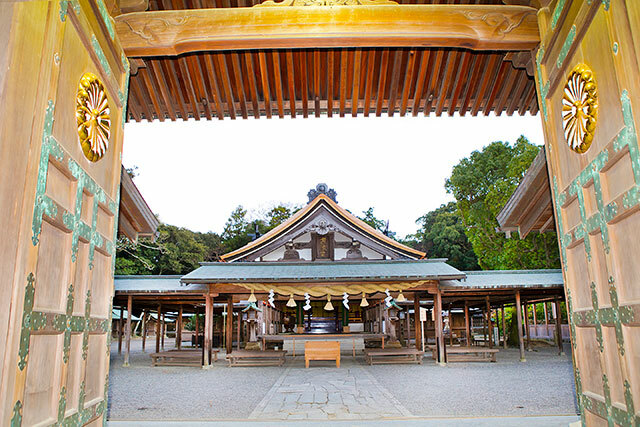 Usa Jingu is known as the head shrine of all the Hachiman shrines located all over Japan. 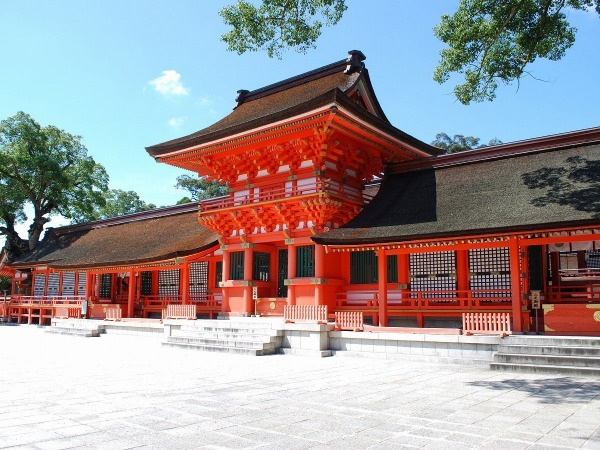 Nothing makes this ring true as the grand walk up to the main shrine along beautiful bridges and through enourmous gates and well kept shrine grounds. The walking tour provided by one of the monks gave insight into the care and history the place has. 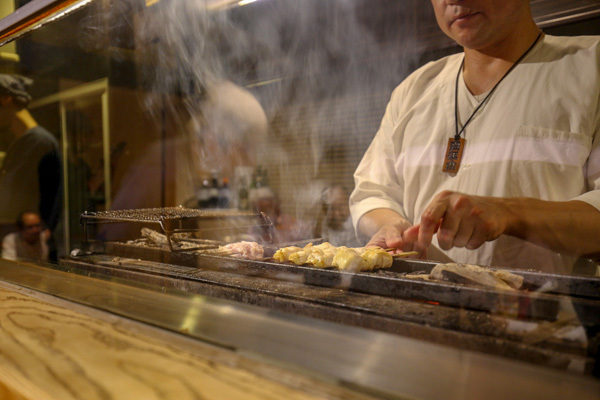 Asagiri no Sho serves a variety of foods unique to Japan itself. 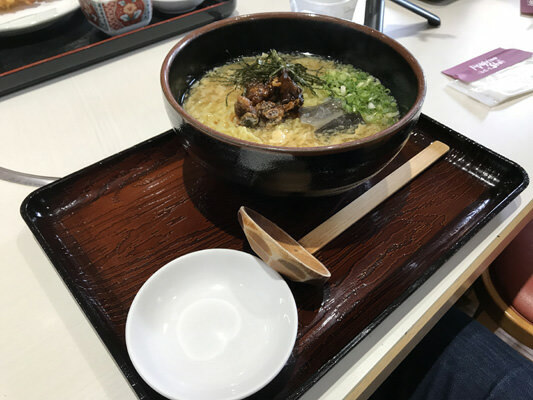 One of these dishes, Suppon Ramen is something that is quite special and unique. Serving up different parts of turtle meat in a slightly more gelatinous broth than expected, this ramen is a very unique dish with a taste you've likely never had before. 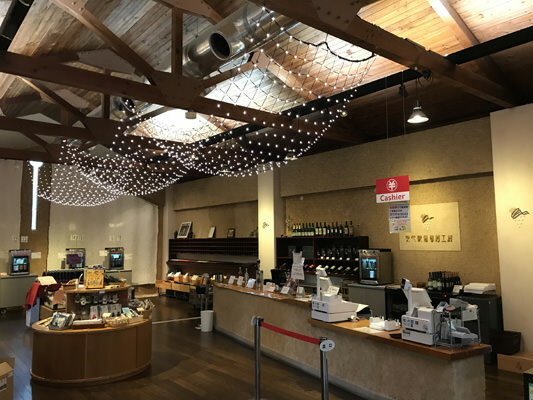 Over the past few years the Ajimu winery has become a well renown name for its specialty wines such as its sparkling that's available on first class flights around the world. 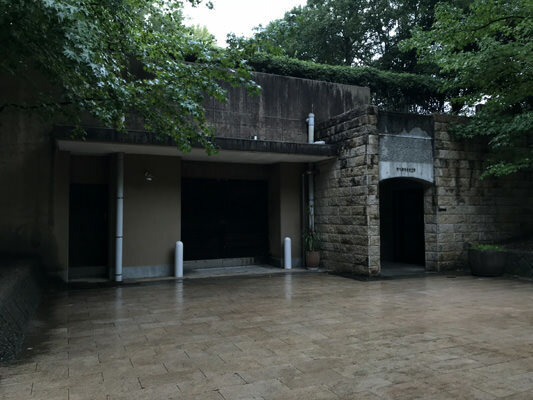 The grounds sit in a large, quiet area that has various different buildings including an underground bunker that is really interesting. 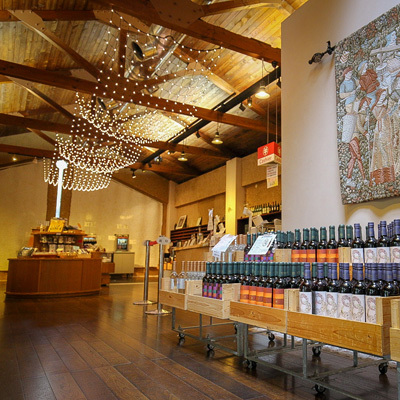 It also includes various historical items on display that are attractive for wine fans. 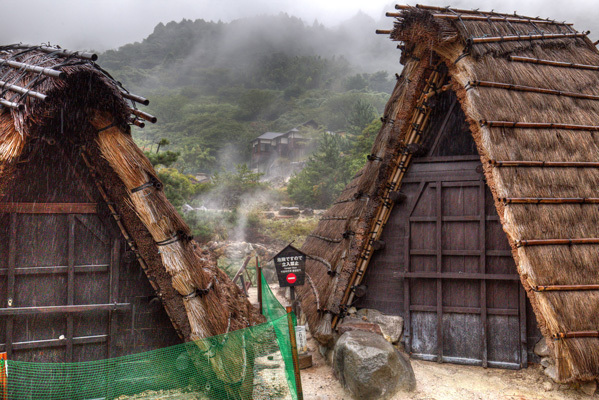 A special onsen where the unique huts block out all light to help grow the salts that are used in their onsens. Being able to look inside two open ones shows the process and they have a tour to give you more information. 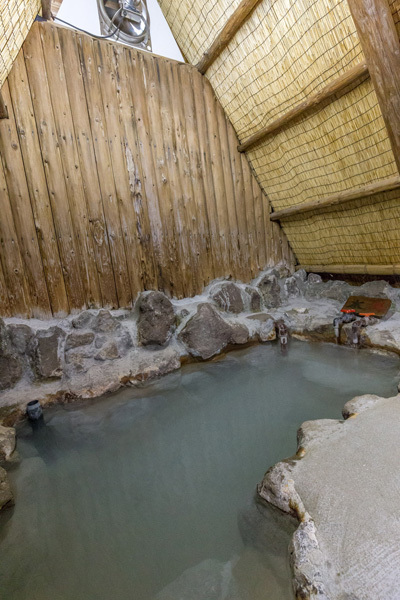 Available is an open public bath as well as various private baths that are incredibly relaxing. 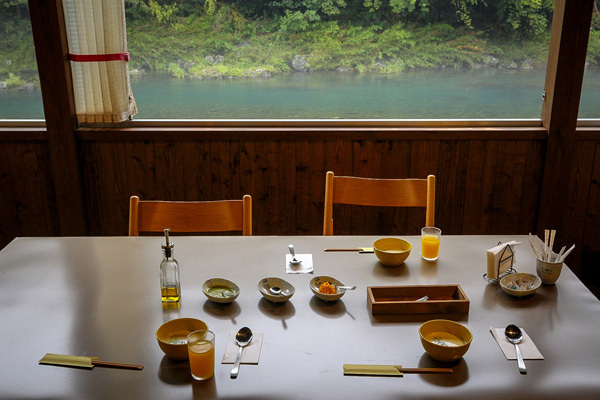 The setting for Lodge Kiyokawa is peaceful surrounded by forest and a river. 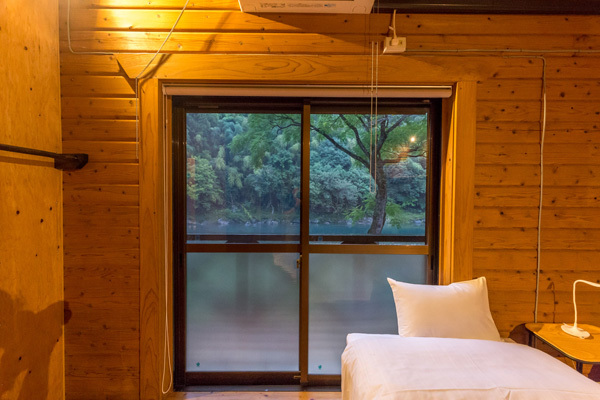 The river is just metres away from lodge, and provides a serene sound to fall asleep to at night. 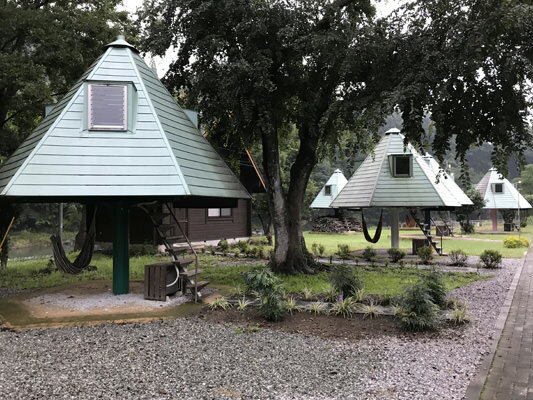 While the larger lodges are setup for families, there are also smaller treehouses for singles or couples, and dormitory (rooms shared for multiple people) accommodation. Dinner and then breakfast here was in the kitchen, situated right on the river. 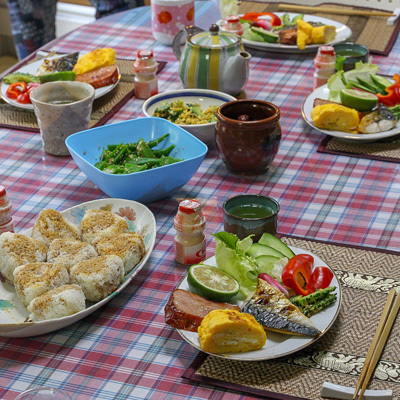 Meals were made from lots of local vegetables, chicken and the region's famous beef. The staff running the lodge are super friendly and informative. 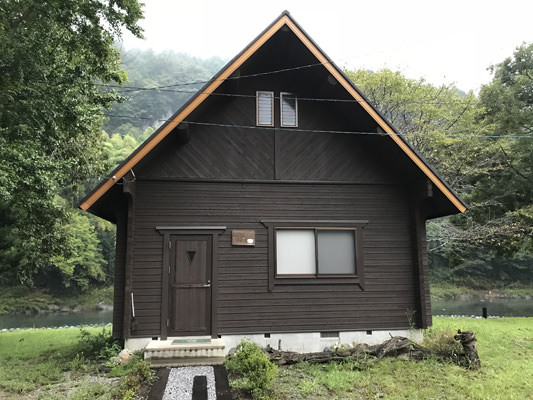 Located deep in the Bungo-ono area, Lodge Kiyokawa is run by people who are also fantastic cooks and provide excellent hospitality for their accomodation. 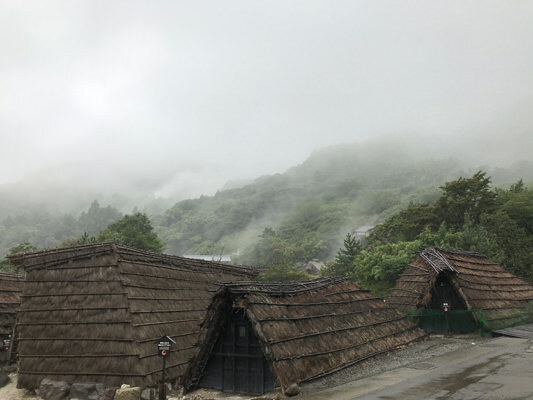 Located by a small river, the lodging options range from huts that look like space ships to larger wooden multi-person huts that can accomodate entire families. These larger huts also have showers and bathrooms inside that are all very new and well maintainted. The food on offer ranges from barbecue dinners to locally sourced breakfast full of delicious food cooked on site. 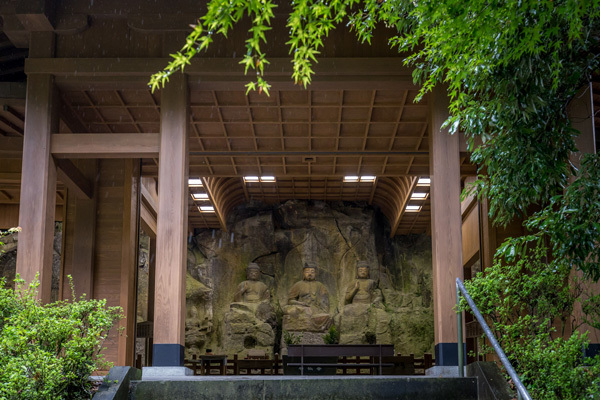 Being recommended by the staff at the lodge, we went on a visit to Fukoji Magaibutsu. 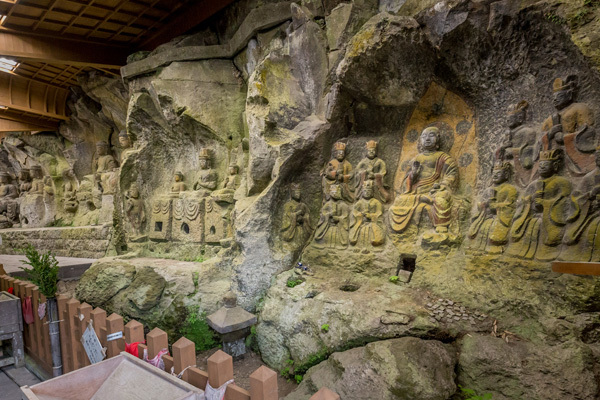 The grand Buddha carvings in the cliff face, along with the features of the cave in this valley, is one of the most unique temples I've visited in Japan. 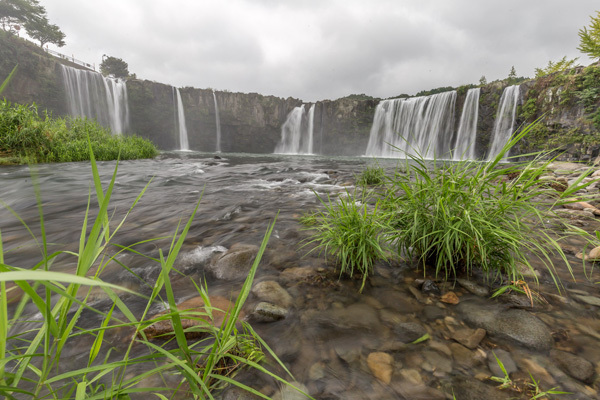 Guided by an official from the Oita Bungoono Geopark, we walked around Harajiri Falls. We were able to overlook the waterfall from a rope bridge, and also access to the base of the falls. 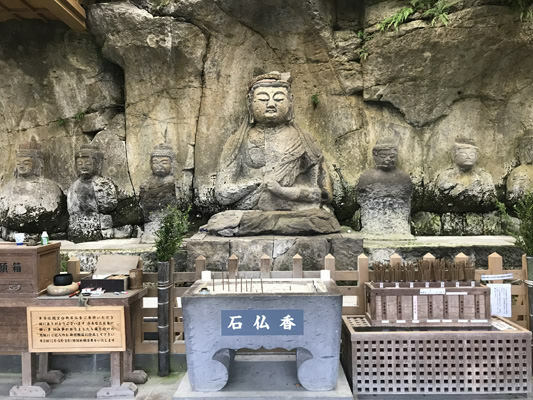 A long, winding ride through the mountains ends up at a well maintained shrine that overlooks a large valley which across the way lies a large buddha carved into the stone wall, facing the vast forest ahead. You're able to walk towards it and climb up beside as well. 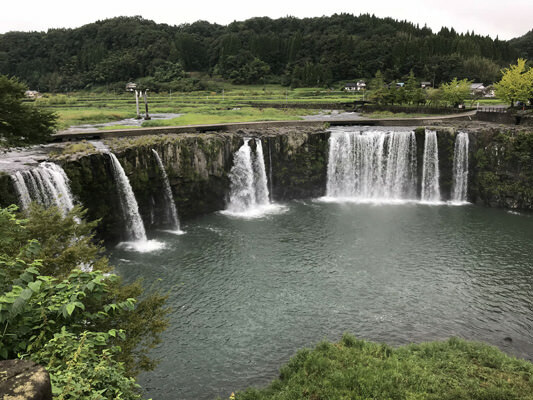 Also known as Oita's Niagra Falls, this relatively large waterfall is surrounded by three large tori gates that stand proudly above the waterway. 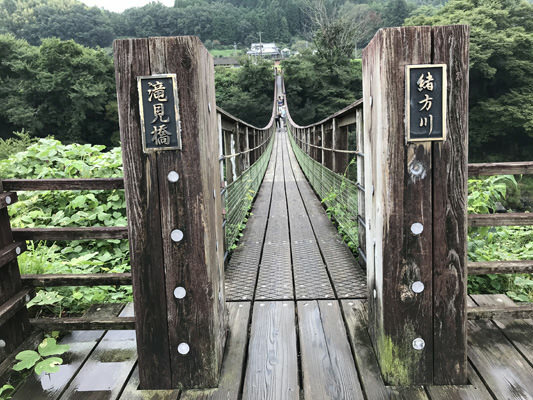 A rope bridge connects each side and provides lovely views. 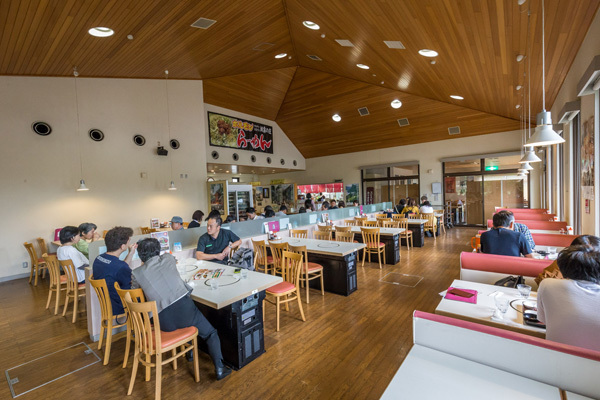 A large visitors centre is nearby full of local foods and delicacies including kabosu soft cream. 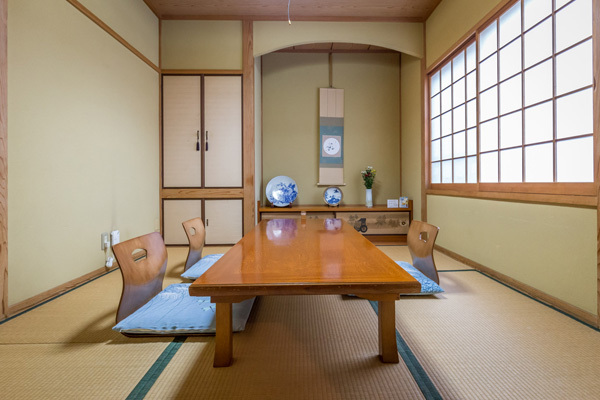 Containing several private rooms in Edo Period styles, almost tea-ceremony styles, the seafood restaurant Kiya serves great set lunches using local ingredients. 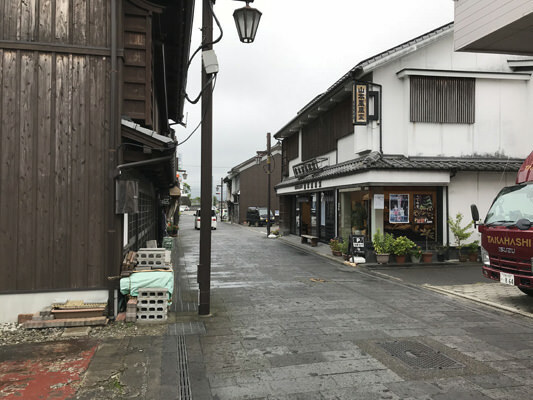 This is one of my favourite things to do in Japan - stroll around historic and old neighbourhoods. Old samurai residences, store houses, factories, shrines and homes really gave this area an authentic and historic feel. 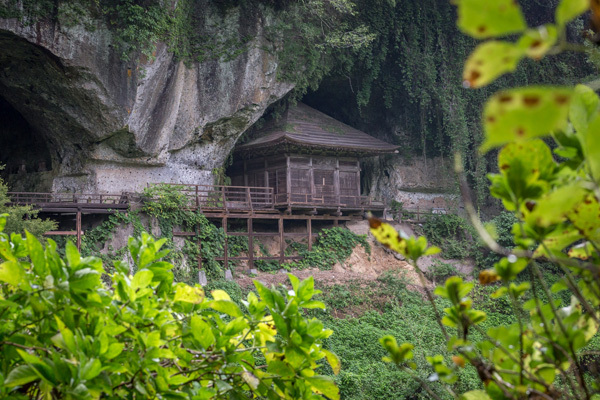 Carved into the surrounding mountain, overlooking farms and rice fields, this is a very unique spot with a rich history. 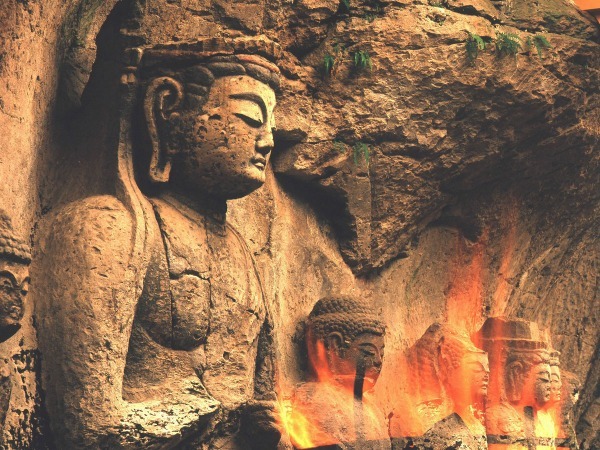 The detail in the carving of the many Buddha statues is beautiful. 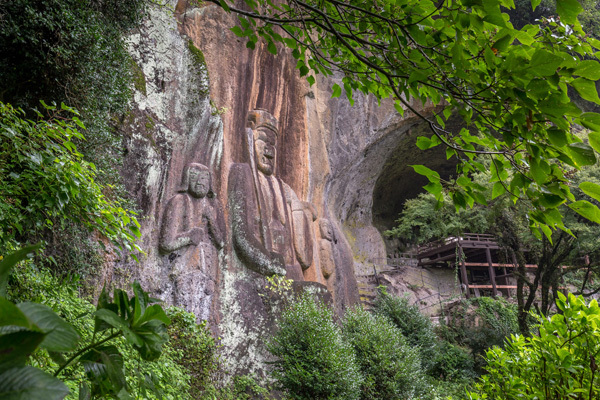 The sites of the statues are split across a few areas within a short walk. 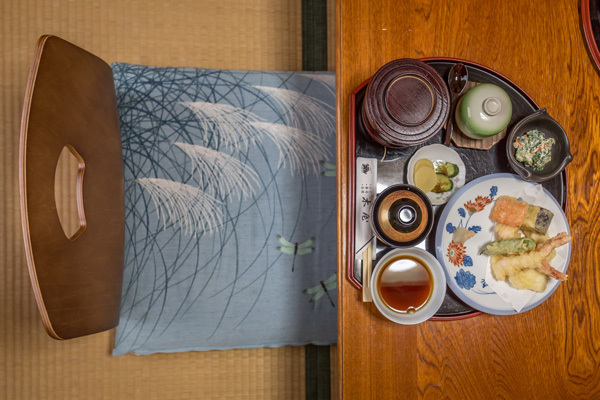 A small traditional fish restaurant that offers both floor seated and chair seated options. 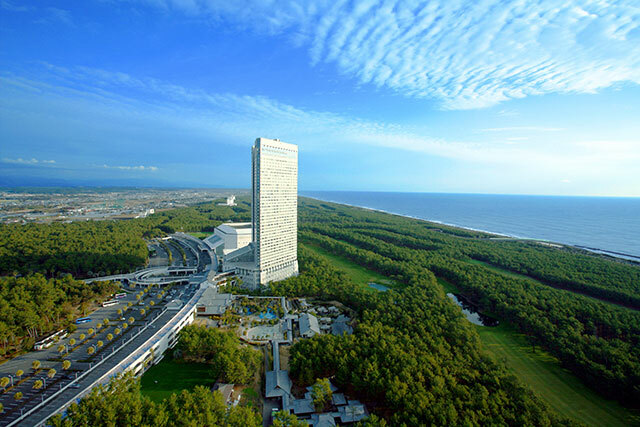 Various dishes are offered with locally sourced produce and are presented well by the in house chef. Service is prompt and there are private dining room options in case that's your style. In the evening they specialise in puffer fish, represented by the cute mascot character drawn on their logo. 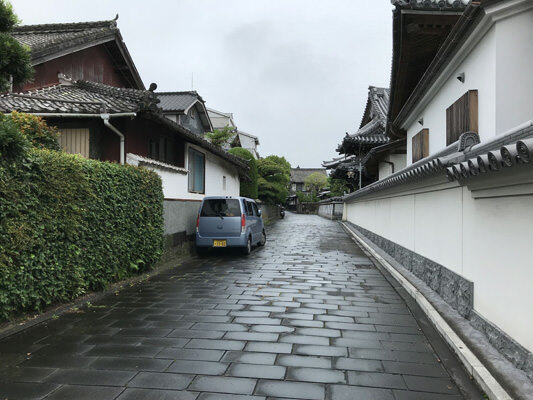 Usuki has a long history including visits from Portugeuse settlers and this is well reflected by taking a walking tour through the streets of the city. 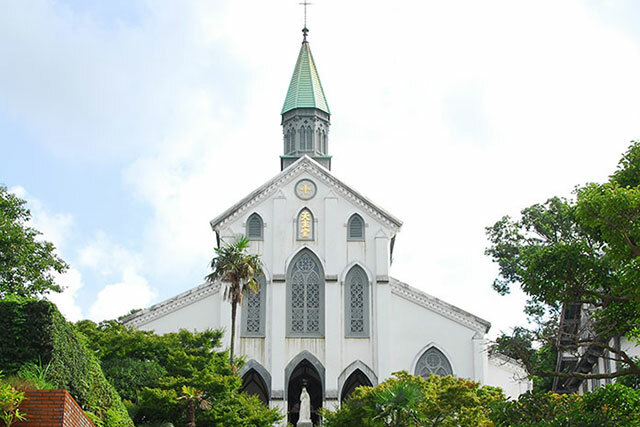 Churches are mere metres away from shrines and temples and provide a unique atmosphere complete with the smell of sake and some of the most delicious miso soft cream available. Another highlight of this trip. Firstly, the house itself is beautiful. 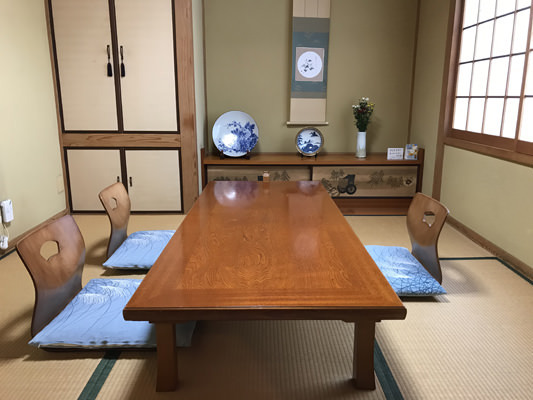 Made from careful procured and prepared wood including Japanese cedar and cherry blossom. The family has been living on this land for generations, and their history shows within the house itself. 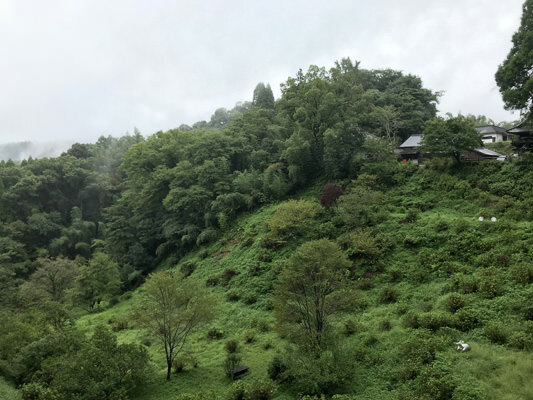 The farmhouse gives an insight into the farm life in Oita and allows you to sample and experience what it's like to live in countryside Japan. All the food is locally caught / grown, prepared and served with love by the adorable couple who is proud of what they do. 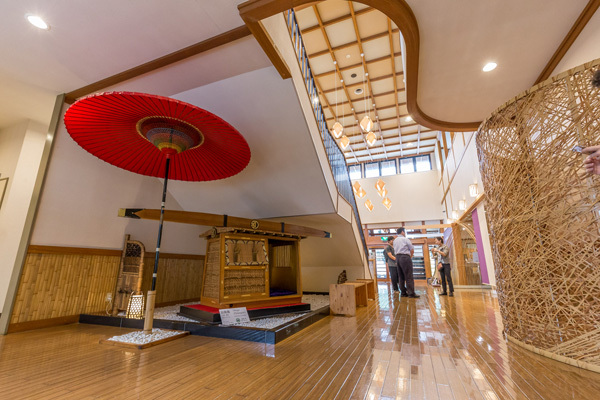 The Beppu Bamboo Museum's bright interior welcomes the visitor through a bamboo archway. 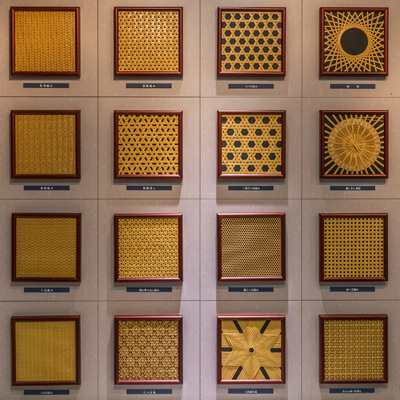 The museum is a combination of bamboo's history and modern art using bamboo. 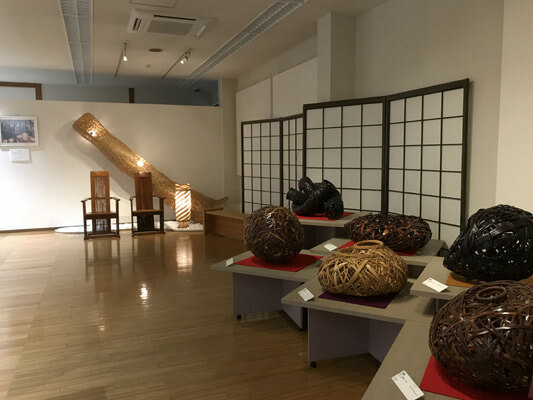 The museum was interesting and educational, learning about the different types of bamboo and styles used in creating both useful and artistic creations. 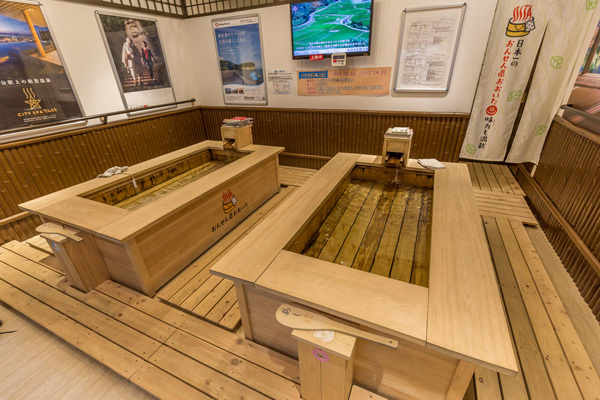 Steam your food then eat it while enjoying a hot spring foot bath! 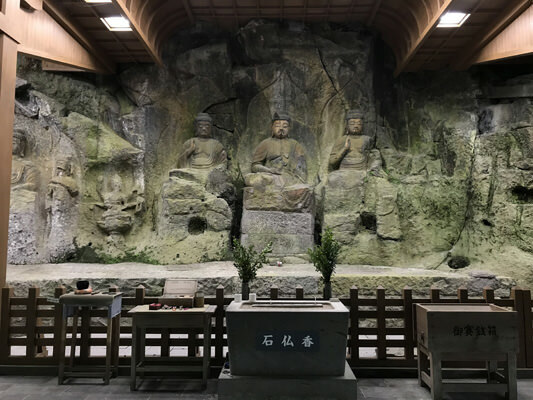 This was one of the most unique experiences in Oita. 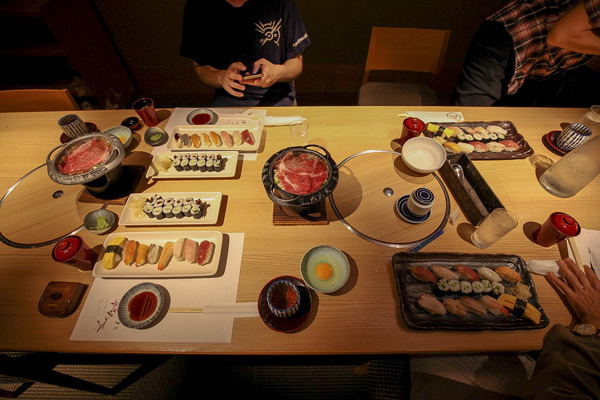 Starting by selecting a few dishes, the ingredients are delivered to your food, along with a separate timer for each. 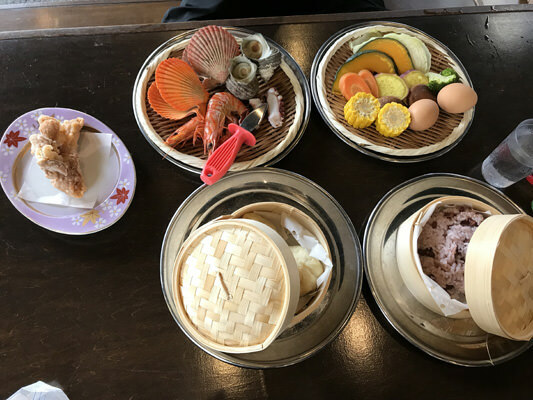 The food is then taken to the steamer, placed inside and the timer started. 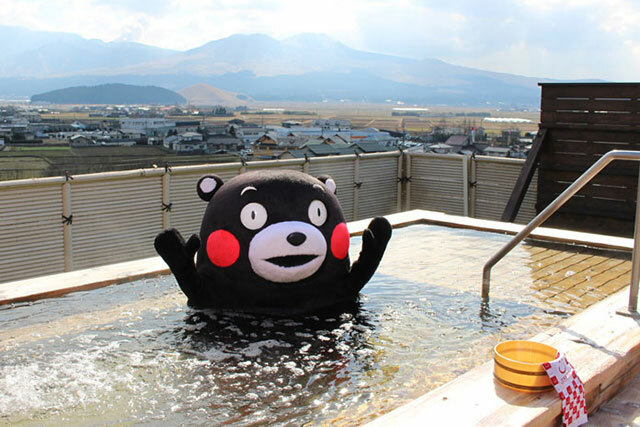 After the food is cooked, it's all about relaxation! 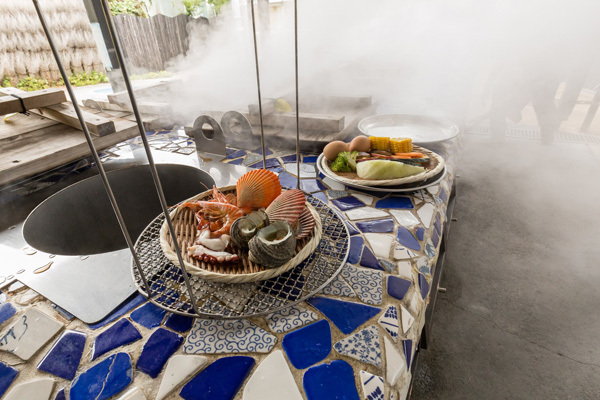 Enjoying great food while your feet are immersed in natural hot spring water. 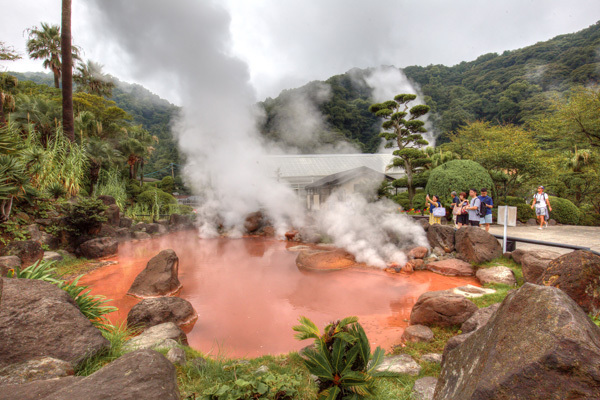 A tour of Hells of Beppu saw a few types of hellish-looking hot springs. 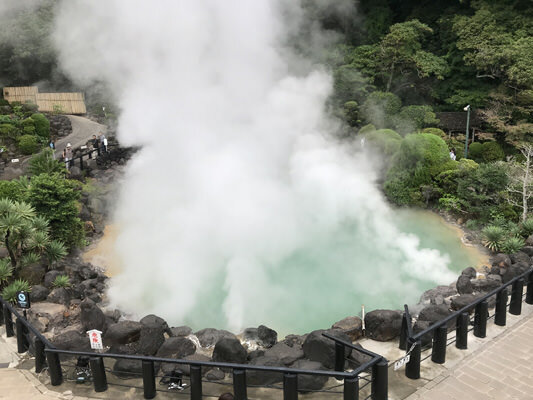 Starting at Umi Jigoku with a blueish-green hot spring pool. 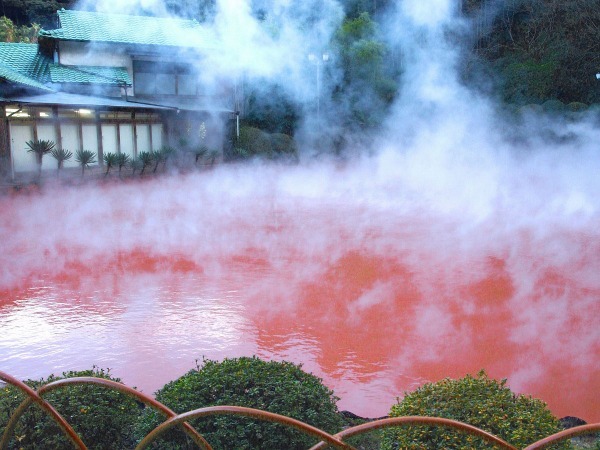 This large pool emits steam and creates an otherworldly atmosphere. 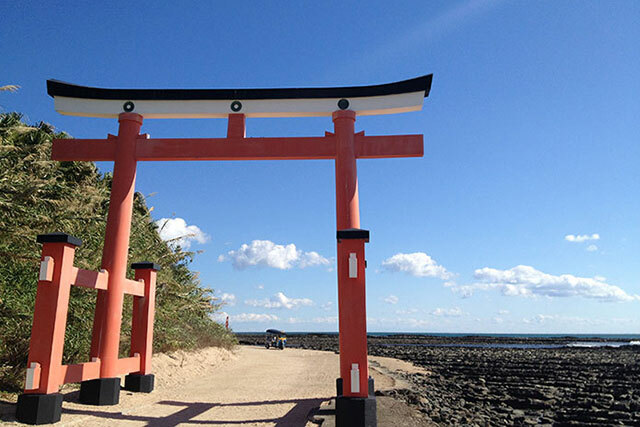 Next to it is a small shrine that has a path lined with small torii. 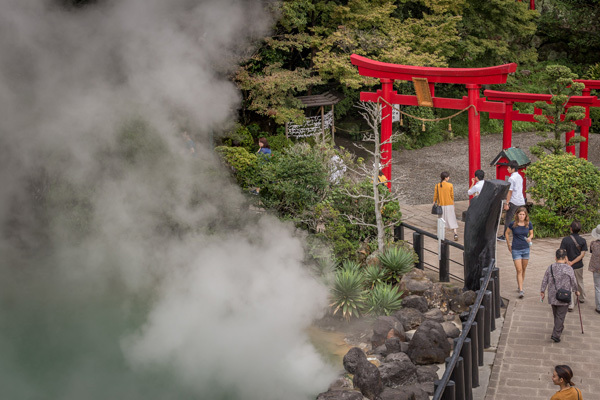 We then headed to a slightly smaller red-orange pool, followed by Oniyama Jigoku. 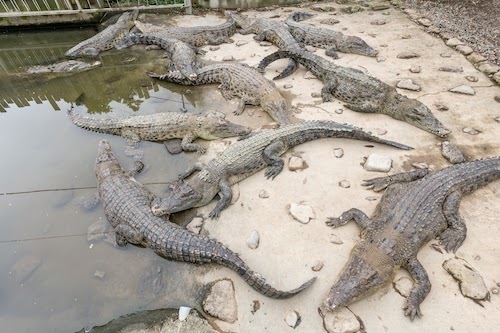 Here crocodiles live in the hot spring water. A walk through the museum and gift shop then went through to a slightly smaller red-orange pool. 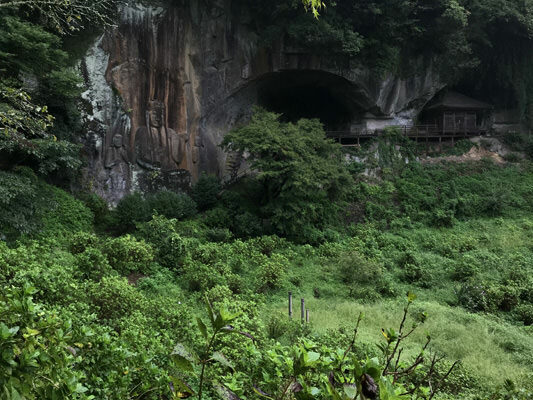 We then proceeded to another, more unique location, called Oniyama Jigoku. 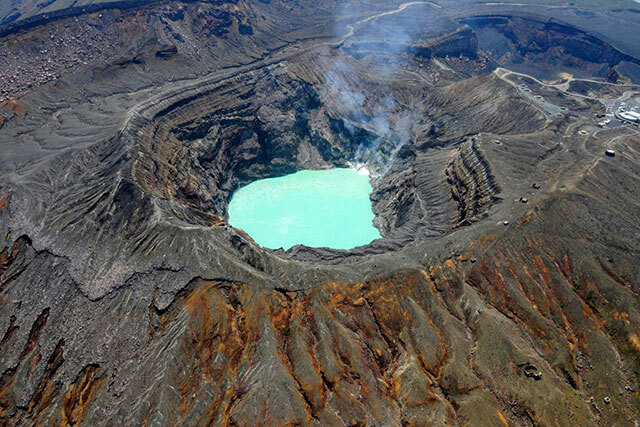 Here crocodiles live in the hot spring water. 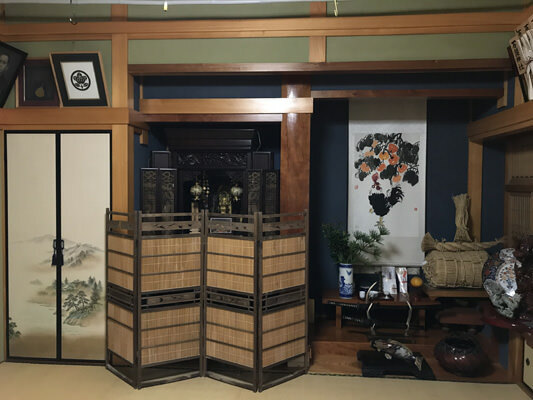 An in depth history into the use of bamboo in making arts and crafts. A lot of information in English makes it very helpful to learn more about the process. 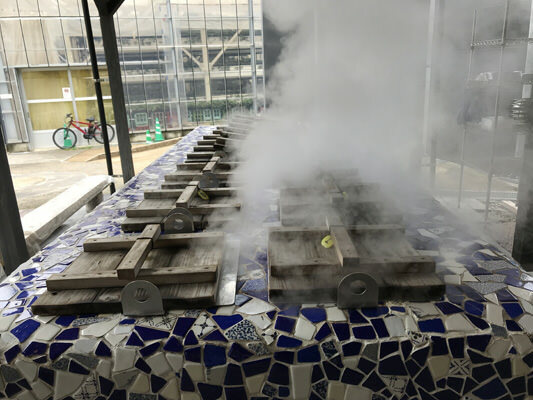 Very unique experience of steaming your own food with the steam from beneath the ground. 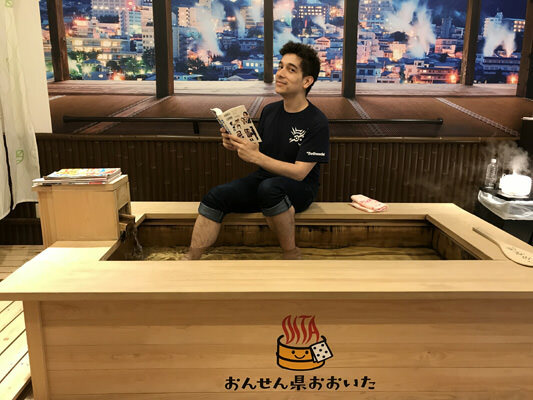 Sitting with your feet in onsen water too while you eat is very relaxing and satisfying. 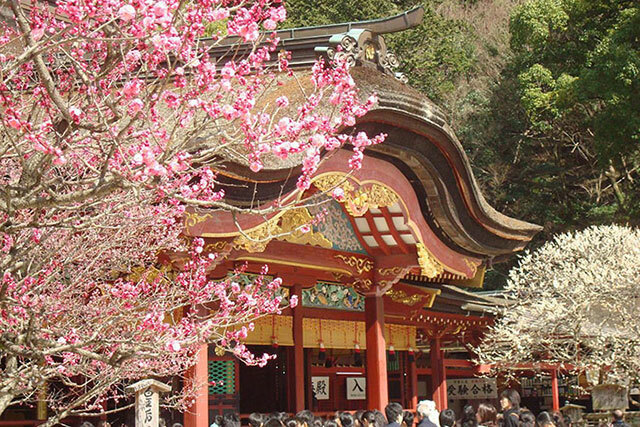 The 'Jigoku' draws one of the biggest tourism crowds to Oita and the vastly different 'hells' provide unique sights for everyone. From the large, Sea Hell that is a strong blue, to the Crocodile Hell that is surrounded by the most crocodiles you'll ever see, each has it's own personality and thing to offer. Departing from Oita airport, we were able to spend some time browsing the gift shop. 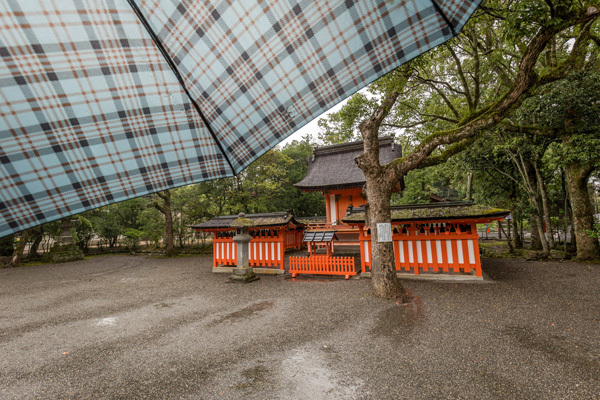 The most popular and prevalent souvenirs contain kaboshu. I picked up some kaboshu salad dressing and marmalade. Wines from Ajimu Budoushu Koubou had a large display. 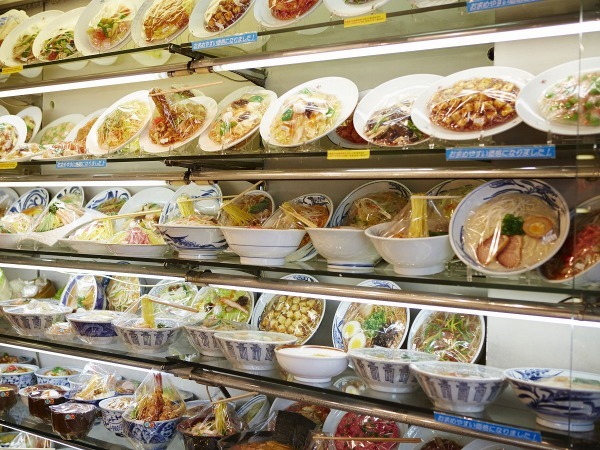 It was fun simply browsing the souvenirs and seeing what kind of foods they mix kabosu with! 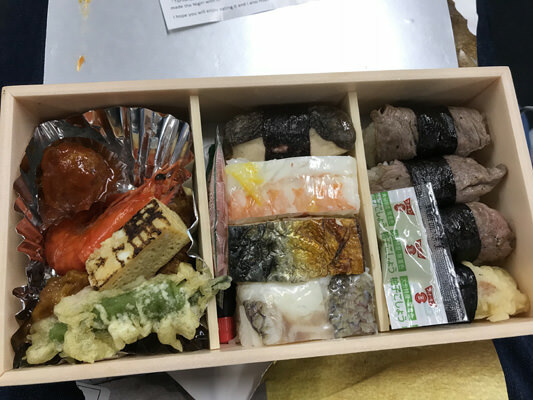 The bento I chose at Oita Airport was very hearty with many kinds of sushi included. 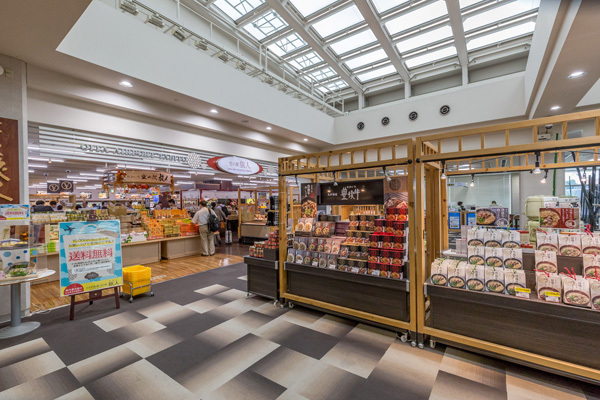 The airport has a very large souvenir shop that also contains a large fresh produce section if you're looking to bring proper food back with you too. 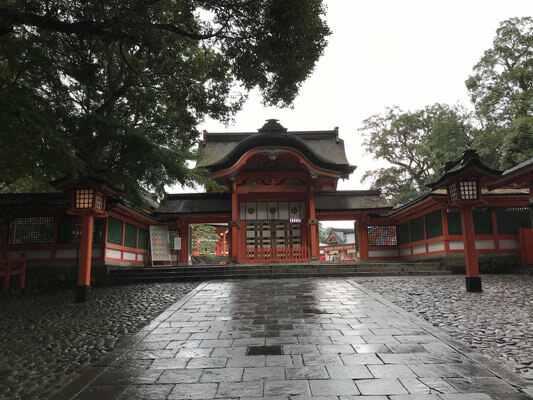 Exploring "old Tokyo/shitamachi" for a day, along with top notch food, then moving on to Oita Prefecture gave a good all round picture of what Japan has to offer. 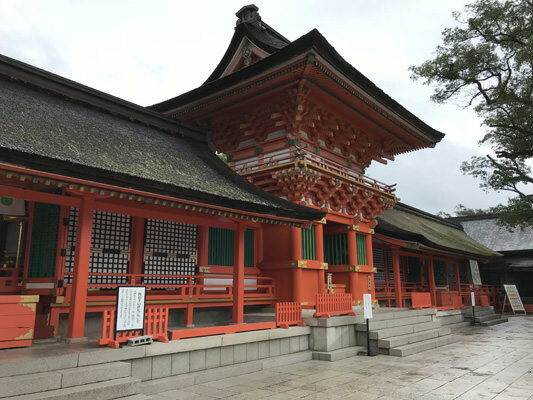 As a lover of temples, shrines and castles, Usa Jingu and strolling the Nioza historic street were some of the major highlights. 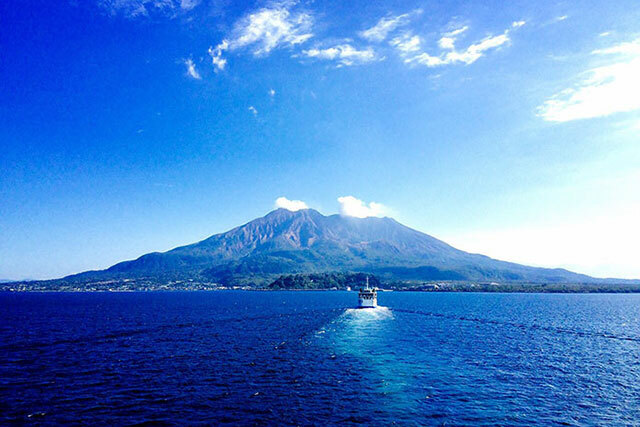 Visiting both Tokyo and Oita, it was a spectacular way to see and experience various aspects of Japan. We were able to learn the local lifestyles and have hands-on experience with the local culture.